I have seen what Alzheimer’s does to an individual first hand. My mother died from Alzheimer’s, my aunt died with Alzheimer’s, and I have an uncle living with the disease. Late this afternoon, as I walk for two-and-a-half hours through downtown Chicago, I will be thinking about all three of them. They are why I work for the Alzheimer’s Association, and why I am participating in the Alzheimer’s Association Longest Day™. I am committed to fundraising for people with Alzheimer’s because I want to make sure families and individuals affected by this disease receive needed support and resources. I am proud to be part of an organization that is there for people when they seek help. I have a hope that one day, we will find a cure for Alzheimer’s and can celebrate that no one else has to live through this disease. It will take endurance to get to the finish line, but we can see an end to The Longest Day. Margy Batora works in Donor Services at the national office of the Alzheimer’s Association. She enjoys a good walk in the city, especially when she is raising funds for Alzheimer’s. well said. We walk for each other. hope Indonesia have this movement so that people aware about what alzheimer is..
Alzheimer's is an incredibly tough disease for family members to cope with. As someone who works with Alzheimer's patients regularly my heart goes out to you! My mother in law was diagnosed with Alzheimers 4 years ago. She went from being an extremely active, healthy 75 year old woman (skiing and cycling) to sitting in a wheelchair not knowing what day it was. She was diagnosed with a condition called "NPH" (Normal Pressure Hydrocephalus) by a gentleman who saw her shuffling across the street with her walker and caregiver. THIS CONDITION IS CORRECTABLE and now, she is walking 1-2 miles per day, reading the newspaper and is coming back to her full active life. Please, get more information about this condition – it can be corrected and it is not a major procedure. 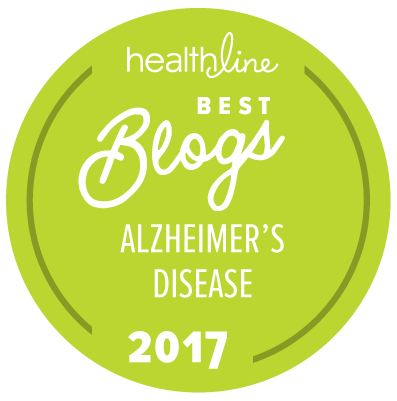 As someone who's family has been affected by Alzheimer's as well, I'm proud and grateful for all of the hard work you do! Thank you! Thank you for doing what you do. I have both parents in a nursing home. Mom with Vascular Dementia and my Dad with Moderate Alzheimers. It has been a tough year and half for me and my family. I had my Dad living with us for 7 months until he started going outside looking for me when I told him where I was going. Also seeing things that weren't there. Became a safety issue and my 9 and 14 yr old girls were nervous with him in the house. This is a horrible disease and I pray some day there is a cure. I will donate my time and get involved with the walks, etc once this nightmare is over. My time right now is mostly spent at the nursing home everyday, trying to be a mom and holding down a job. Again..Thank you for all you do!! All of your words are so insiprational! I have a grandmother who is 84 and has had Alzheimer's for the past couple of years. The last two years of this horrible disease has taken from being active to being bed bound not knowing who we are and what day it is. It breaks my heart to see her like this, even more when she doesn't recognize who anyone is. I just wanted to take the time to thank all of those who support and work so hard to end Alzheimer's. I believe that Alzheimer's should never happen to anyone, it is horrible to see how the person you love is slowing fading away. Once again thank you to all for the hard work you all do, my family and I greatly appreicate it. I enjoyed reading the comment from Margy Batora who walks the Alzheimer's charity walk in memory of a lost loved one. I, too, have lost a loved one, my father-in-law, from this disease. Raising money by walking in this charity walk helps you feel like you are taking a part in finding a cure for this terrible disease.